Two diplomas were prepared, one as a testimonial for the officials and the other a letter of commendation for the winning athletes. Mr. Hiromu Hara designed both of these diplomas using a thick Japanese paper embossed with leaves of olive. 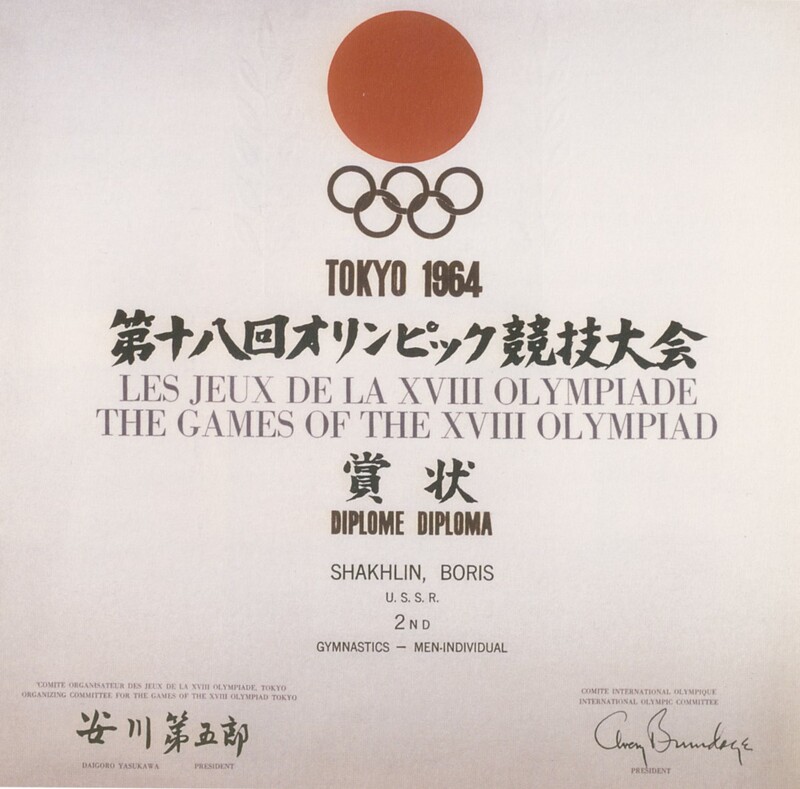 Marks of the sun and the Olympiad and the letters of "TOKYO 1964" in powdered gold were added. In the letter of commendation were the marks of the sun and the Olympiad and letters of "TOKYO 1964". The letters of commendation were handed to the individual athletes through the athletes` administration office of the Olympic Village, each diploma printed with the athletes name. Some of these for the participants in those events toward the end of the programme were, for conveniece, forwarded to the respective National Olympic Committees later, for presentation.